Our customer service department is looking for hardworking, vibrant and self-motivated to work in call centre in Johannesburg. candidates must have good communication skills(Verbal & Written), Good attitude and ability to work in a team and conflict resolution skills. 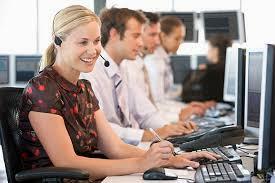 Ensuring that all requests are resolved before ending the communication. . Customer Retention and churn are done within the organization.